In Vedic astrology and scriptures, there is a detailed description of powerful yantras and their numerous benefits. Although to attain maximum advantage, one must establish these yantras as per the steps and worship them regularly. It is believed that with the help of instruments used in astrology, various types of divine powers can be attained in the universe. These yantras are widely used in our Vedas and Puranas. Therefore, their significance for us increases in many ways. With the effect of Vyapar Vriddhi Yantra, your luck as well as business improves. Along with enhancing profit levels in business, it also makes way for new sources and means of income. For those people who are constantly facing financial losses in the business, this instrument proves to be very beneficial for them. To avoid losses in business, one must establish a Vyapar Vriddhi Yantra. 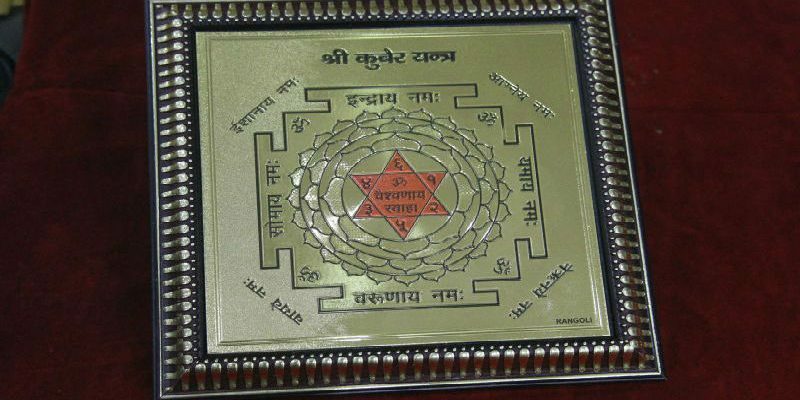 Vyapar Vriddhi Yantra can be established after observing the right muhurat. Setting up this yantra on a Sunday during the Shukla Paksha is considered auspicious. After worshipping the instrument, chant ‘’ॐ श्रीं महालक्ष्म्यै नम: / oṃ śrīṃ mahālakṣmyai nama:”. Establish this yantra in the house, office or shop. Goddess Saraswati is the goddess of knowledge and Saraswati Yantra is considered the embodiment of her. It is believed that by worshipping this yantra, you get the blessings of Goddess Saraswati. Saraswati Yantra is used to achieve success in the field of knowledge, learning, art, music, singing and speech skills. The best day to establish Saraswati Yantra is Vasant Panchami. Also, it can also be set up on Thursday as well. After bathing early in the morning, wear white or yellow colored clothes. Pour Panchamrit on the yantra and offer yellow flowers on it. Remember Goddess Saraswati while chanting the mantra, “ॐ ऐं सरस्वत्यै नम: / oṃ aiṃ sarasvatyai nama:”. After worshipping, keep this instrument in your study room. Through Kuber Yantra, one worships and remembers Lord Kuber. With the help of this instrument, chances for monetary bliss become stronger and economic problems in life get eliminated. Establishing this device at home or office leads to growth in luck. With the influence of Kuber, you attain immense wealth and new sources of income. Any person can install this device. Establish this yantra during the auspicious muhurat of Dhanteras or Deepawali. Soak the device in Panchamrit. After this, worship Kuber Yantra as described in the scriptures. Chant ‘’ॐ कुबेराय नम: / oṃ kuberāya nama:’’. Now, place the device at an auspicious place. By establishing and worshipping Mahalaxmi Yantra, Goddess Laxmi becomes happy and offers her devotees happiness, prosperity and good fortune. Physical and materialistic pleasures can be achieved with the help of this device. By establishing the Mahalaxmi Yantra, negative energy gets destroyed and life becomes prosperous. Install this device on the day of Kartik Amavasya. Before establishing this yantra, soak it in Panchamrit. After worshipping, remember Mother Laxmi. Chant ‘’ॐ महालक्ष्म्यै नम: / oṃ mahālakṣmyai nama:’’. Place this device at home, office or almirah. Mahamrityunjay Yantra is considered very powerful, and by establishing this device, one makes Lord Shiva happy. It is believed that by establishing this instrument and chanting Mahamrityunjaya mantra, one becomes capable of overcoming the fear of premature death and gets rid of diseases. This device also destroys physical and mental pain. Mahamrityunjay Yantra is also worn as an armor. Worship Lord Shiva before establishing this yantra. Bathe the yantra in Panchamrit (milk, yogurt, ghee, honey and gangajal). Offer flowers and Bilva Patra. Face eastwards and chant Maha Mrityunjaya Mantra. Place the yantra in an auspicious place. One can please Lord Bajrangbali and get rid of all the troubles and miseries by worshipping Hanuman Yantra. 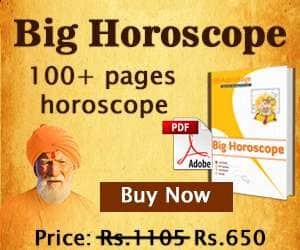 Through Hanuman Yantra, the bad effects of planet Mars can be reduced in the horoscope. By establishing and worshiping this instrument, strength, wisdom and intelligence can be attained. With the influence of Shri Hanuman Yantra, various faults and troubles get redressed and auspicious results are attained in life. Establish this device on Tuesday. Take a bath early in the morning and wear red colored clothes. Lay a fresh and clean cloth and place the Hanuman Yantra. Worship using Sindoor, Rice, Flowers and Diya. Chant the mantra “हं हनुमते रुद्रात्मकाय हुं फट् / haṃ hanumate rudrātmakāya huṃ phaṭ‘’ along with keeping flowers in hand. Now place the yantra at some auspicious place. Shri Yantra, also called as Shree Yantra, is known to be a powerful device used to attract Goddess Mahalaxmi. By worshiping it, happiness, prosperity, grandeur and good luck are achieved in life. With its effect, defects in the horoscope gets removed. One can attain Ashta Siddhi and Nav Nidhiyon by worshipping this device regularly. Shri Yantra can be worshipped along with the mantra on the auspicious time of Navaratri, Shivratri and Deepawali. Shri Yantra is established during the best muhurat of the day. Install this device during Diwali, Shivratri, Akshay Tritiya. Place the Shree Yantra on a red cloth after taking an early morning bath. Soak this yantra in Panchamrit (milk, yogurt, ghee, honey and gangajal). Offer Red Sandalwood, Red flowers, Red color (Abeer), Roli and Akshat while worshiping. Then offer a red chunar on Shri Yantra, do the aarti with Dhoop and diya and chant the mantra “ॐ महालक्ष्म्यै नम: / oṃ mahālakṣmyai nama:”. As per astrology, these yantras bear great significance and are used to eliminate numerous defects and problems. Read the article and establish the yantras as instructed to bear good results. My friend fought and went. Said don’t want to see and meet me for ever. There was no issue. What can I do for her to come back, meet me and become like old friends. Any mantra to chant. To clear the enmity. My friend fought and went. Said don’t want to see and meet me for ever. There was no issue. What can I do for her to come back, meet me and become like old friends. I have many problem in my life. Any work I want to do it went wrong so ple help me to come out the problem or I will be totally distroi.